Stuffing / Core wool for 3D pieces. This is a blended carded mix of washed fleece wool. The fibres used are chosen to give the mix a good loft and recovery. This feature makes it a good stuffing wool as it retains its bounce when compressed. When used in the process of needle felting it gives a sound base to the work when needled into a body shape. 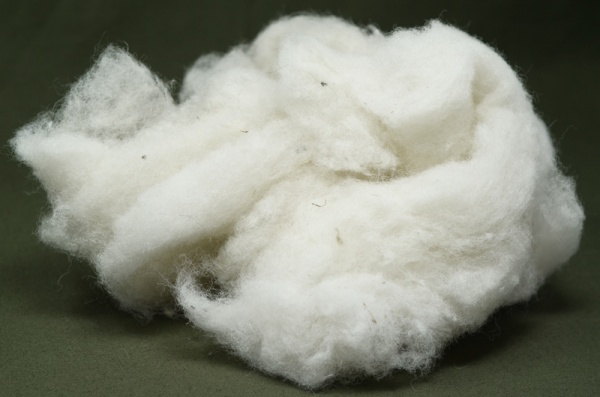 With this type of blend made from scoured (washed) fleece there is always some vegetable matter in the fibre.